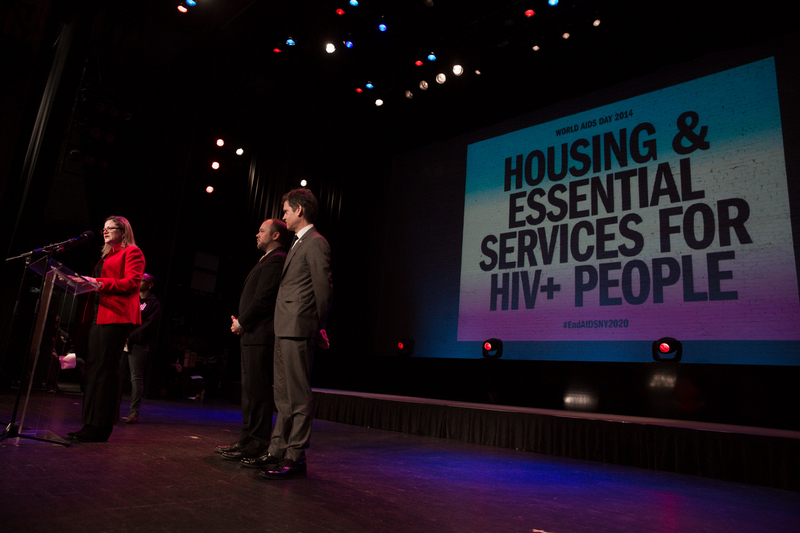 NEW YORK—In honor of World AIDS Day, the international occasion for raising awareness about the disease that has claimed more than 39 million lives worldwide, the city’s AIDS advocates gathered at the Apollo Theater in Harlem on Monday to celebrate their achievements in combating the disease and discuss their work ahead to fully end the epidemic. The crowd was joined by Mayor Bill de Blasio and City Council members who support an initiative to reduce the number of people living with HIV in New York State. Although New York City remains one of the places in the nation with the highest rates of HIV infection (HIV being the virus that causes AIDS), the city health department’s newly released data on Monday showed that the number of new diagnoses in 2013 has declined to 2,832, an over 40 percent decrease compared to a decade ago. Currently, more than 117,000 people in New York City are living with HIV or AIDS, and about 100,000 have died from the disease. The only HIV test to fear is the one you don’t take. 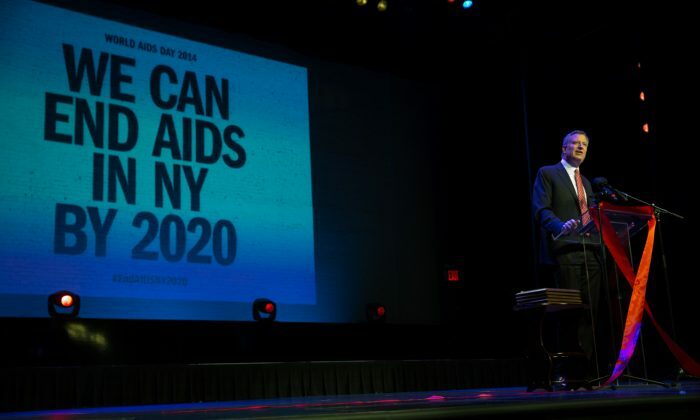 In front of a packed audience, Mayor Bill de Blasio and health commissioner Mary Bassett announced a new public awareness campaign to encourage sexually active New Yorkers to get tested for HIV. This campaign supports Gov. Andrew Cuomo’s goal to decrease the number of people living with HIV in New York State, for the first time by 2020. Called “New York Knows,” the campaign will include social media promotion and citywide advertisements. More than 1.2 million people in the country have HIV, and about one in seven of them are unaware that they have the infection, according to the Centers for Disease Control and Prevention. Both activists and politicians noted that one of the greatest challenges to fighting the AIDS epidemic is the high level of poverty and homelessness among the infected. Back in February, Cuomo and de Blasio offered benefits that would not require low-income New Yorkers permanently disabled by HIV/AIDS to pay more than 30 percent of their income toward rent. This helped roughly 10,000 individuals to stay in their homes and get health care for their illness. City council member Corey Johnson, who is HIV positive, called for more leniency in the requirements to receive benefits. He said the current benefits program only allows people who have become very sick to qualify, leaving many HIV positive people to wait until their disease worsens before they can get assistance. There were times when I had to choose between my rent, my medicine, my doctor’s appointments, my food—no one should have to make that choice in 2014,” said Johnson. A number of AIDS activists and researchers were honored with the Worlds AIDS Day Award, including Mathilde Krim, founding chairman of the American Foundation for AIDS Research, a nonprofit that funds AIDS research and develops public policies involving AIDS. Currently, the herb is widely used in China for chronic hepatitis, colds and upper respiratory infections and as an adjunctive therapy in cancer.